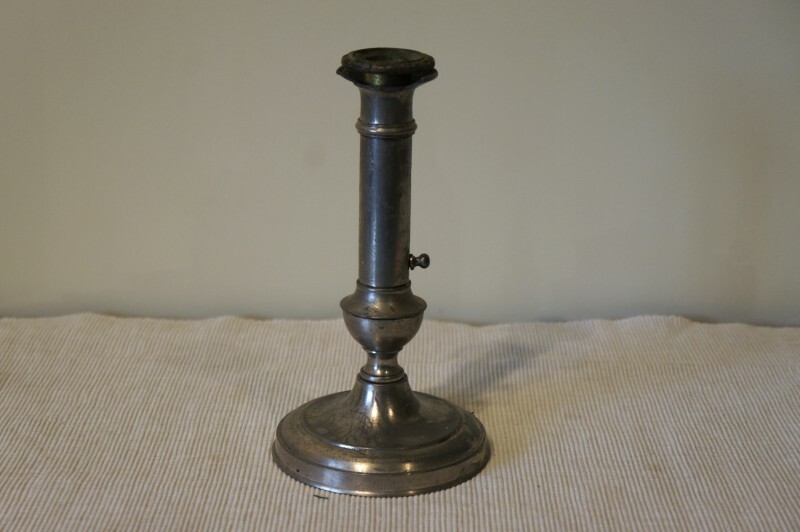 Antique pewter candle stick holder with push up mechanism. In great condition for age with only a small crack near the neck. 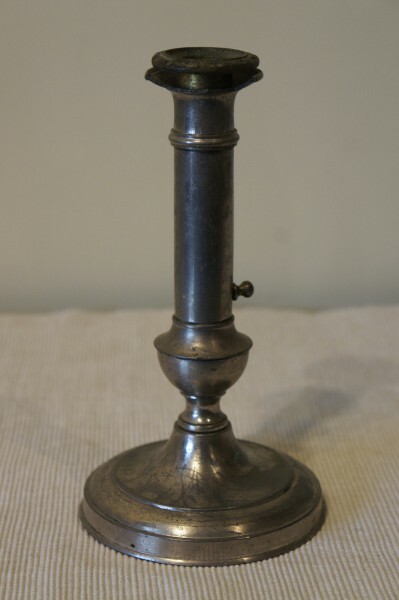 Perfect working order and beautiful patina. 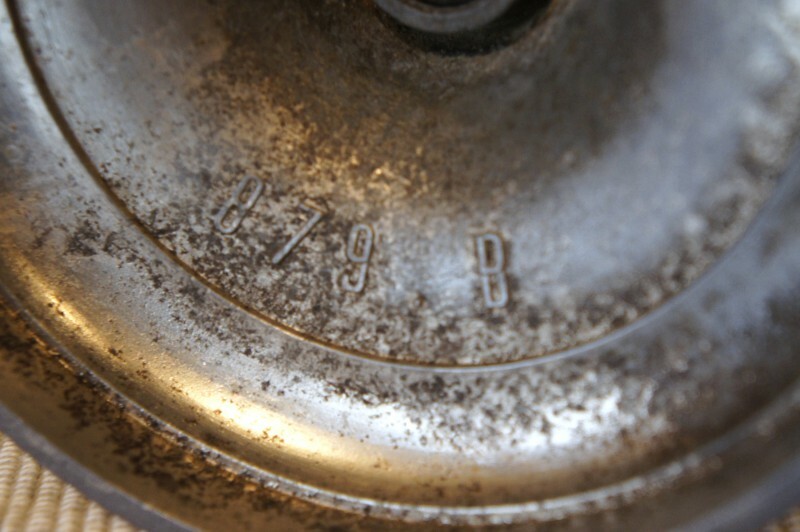 Stamped 879 B.